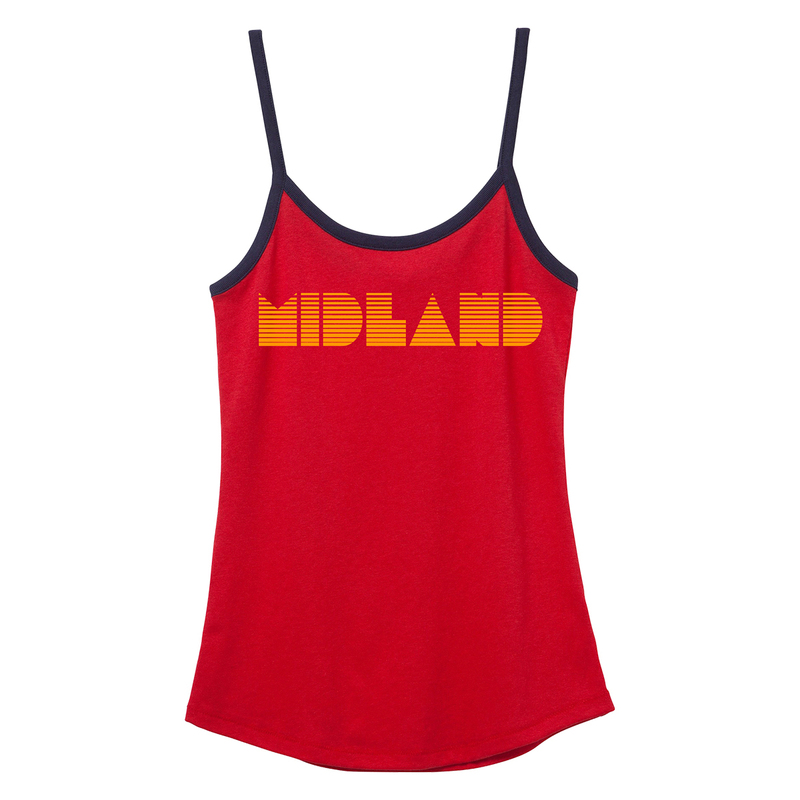 Red tank top with navy piping featuring yellow Midland logo on the front. Love this tank! Great color and super soft. I can't wait to wear it to the St. Augustine show!!! 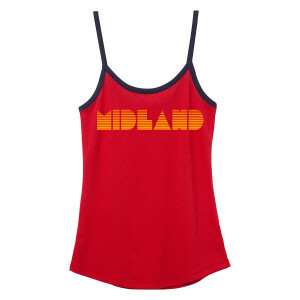 I love this tank almost as much as I love Midland. Super cute and comfy, my new favorite summer tank.